2017’s most challenged book, “Thirteen Reasons Why,” has been adapted as a Netflix series. Requests to ban books for subject matter are few in Fulton County, but that doesn’t mean the controversy doesn’t touch this area. Patrons of several public libraries in the area have occasionally complained about available reading material, but not vociferously enough for action to be taken, the library directors say. And if action were taken, it would be to scrutinize the book closely before removal would be considered. The country is in the midst of Banned Books Week, an annual event sponsored by a nationwide coalition of organizations, including the American Library Association, to support freedom of expression. This year, the coalition has listed 416 books that were banned or challenged by communities in 2017 due to alleged inappropriate content. But because inappropriateness of content is considered subjective, the local directors – who confirm their libraries stock some of last year’s most controversial books – say complaints against a tome doesn’t necessarily seal its fate. During this week the library is displaying some of the books on the challenged top 10 list. DeLeon said in the past patrons have complained about certain books. Some in the 1990s even went as far as redacting some words in books they deemed offensive. “We try to explain that our job isn’t to be a censor,” she said. When books requested for delivery to a home-bound patron aren’t available the library attempts to provide alternatives that suit the the patron’s taste. DeLeon said the library respects that reading matter is a personal choice. “If you don’t like it, don’t read it,” she said. The library does allow patrons to fill out a complaint form if they take issue with a book. If enough complaints are received the book is presented to the Board of Trustees. Dominique said during her tenure that hasn’t happened, and hasn’t been an issue. She said complaints against books are actually rare. The county’s school districts may treat book controversies a bit differently. Larry Brown, Wauseon schools superintendent, said media materials are bought for specific educational purposes and with the approval of the district’s principals. To that end, any reading material deemed controversial is reviewed using four criteria: relationship of the material to course of study; the content’s uniqueness; the information’s maturation and comprehension levels; and the nature of the controversy. “I am not aware of any parent ever requesting the removal of a book from our library/media centers in our school in the last five years,” Brown said in an email response. He said because school districts often have limited funds for library materials, purchases are based on specific needs. Swanton Local Schools don’t have a policy for banning books. Superintendent Chris Lake said the district’s head librarian long ago received a single complaint about a book from a parent. “What we do in those cases is note that a particular student does not have their parent’s permission to check that material out. We do not remove the book from the library,” he said. Lake said because Swanton Local Schools are public “we do have an obligation to provide our students access to information even when that information might be considered controversial.” He said the schools take student maturity levels into consideration, as well as the material’s appropriateness as related to the curriculum. “Those have been good guidelines for us, and we rarely find this to be an issue,” Lake said. 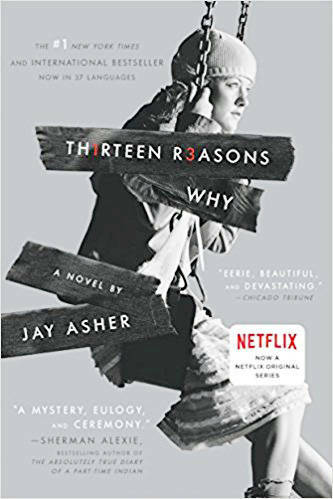 https://www.swantonenterprise.com/wp-content/uploads/sites/23/2018/09/web1_banned-books.jpg2017’s most challenged book, “Thirteen Reasons Why,” has been adapted as a Netflix series.